Cruelty Free: Some places say yes, SallyHansen.com says "No, we do not test our finished products or ingredients on animals, nor do we commission any third party to do so"
Claims: "HAVE IT ALL! Get 7 benefits of a salon manicure in 1 bottle - Base Coat, Strengthener, Growth Treatment, Color, Top Coat, Chip Resistant, and Gel Shine. 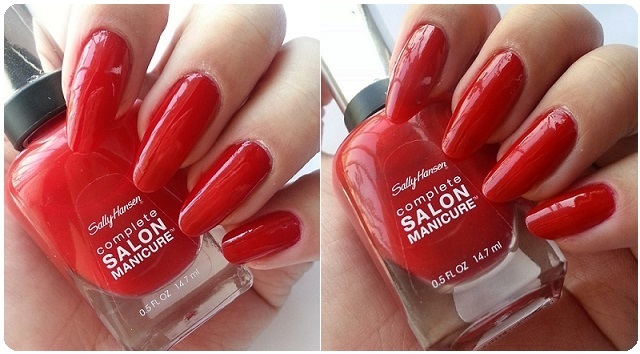 With up to 10 day wear and the flawless finish brush you get a salon perfect mani that lasts. 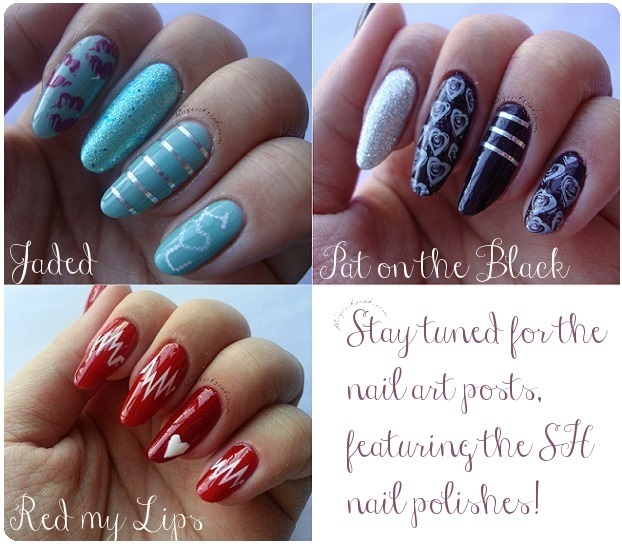 Complete Salon Manicure – it’s the total package! " 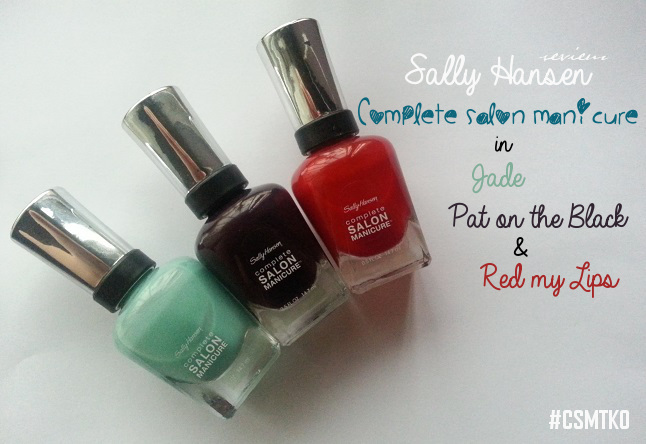 I was given the awesome opportunity amongst many to test out Sally Hansen Complete Salon Manicure nail polishes! I have to say they are awesome!! I own a few SH polishes already and love them, so it's great to add these to the collection. SH claims that these will knock out the competition due to the 7 benefits each polish possesses. It is a base coat, strengthener, growth treatment, color, top coat, chip resistant and adds gel shine! It also claims to wear up to 10 days. I am here to tell you whether or not it lives up to it's claims. It comes in a nice glass bottle with a silver top. It also has black rubbering on the bottom of the handle that helps with gripping. The bottle contains .5floz of product (the same amount as CG and slightly less than Essie). Although the product is also a base coat.. I recommend wearing a base coat anyway. The wide brush certainly makes it easier to apply even coats to my nails. It also adds great shine! I wouldn't say it last up to 10 days on it's own but if you add a separate top coat then it will. I didn't get any chipping or anything but the tips did fade a bit after 7-8 days. Jade & Red my lips dry really fast as well! 'Jade' is a bit on the thinner side for consistency. It takes about 3 thin coats for an opaque finish. The color is a beautiful muted mint and does not stain the nails. 'Pat on the Black' is more on the thicker side and is opaque with just a single coat, however, I go with 2 to be safe. 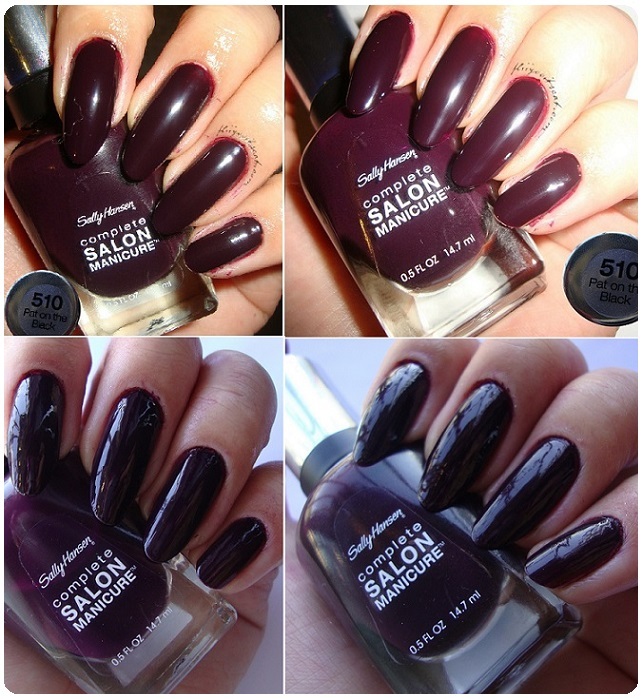 It is a beautiful deep almost black purple that does not stain the nails. 'Red my Lips' is a beautiful red polish. A little on the brighter side. It is in the middle of thin and thick. Glides on smoothly with opaque color within 2 coats. It does stain the nails, so I recommend using a good base coat or nail polish remover. I love them!! 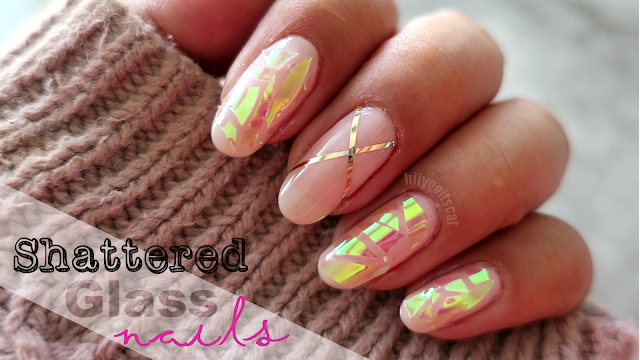 They are great for all over color as well as nail art! 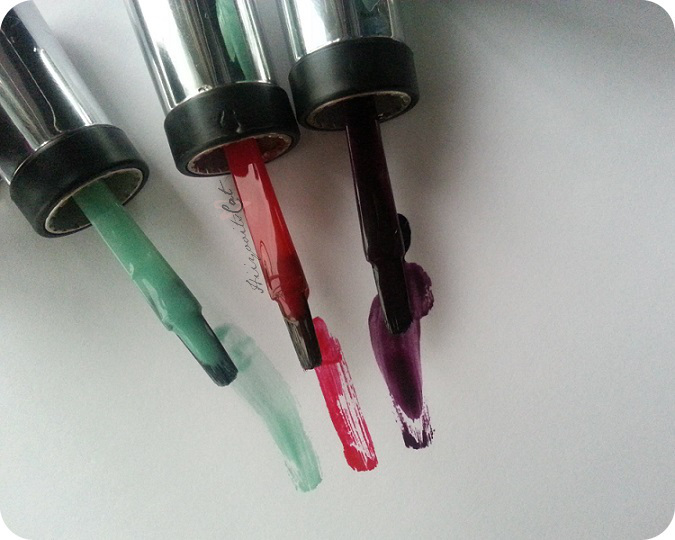 The consistency is nice and glides on the nails very well without dragging or brush lines. It gives a nice shine without a top coat but I recommend using one anyway. The polish itself helps to give your nails a flawless look and smooths over all the bumps and indents you may have in your nail without enhancing them. 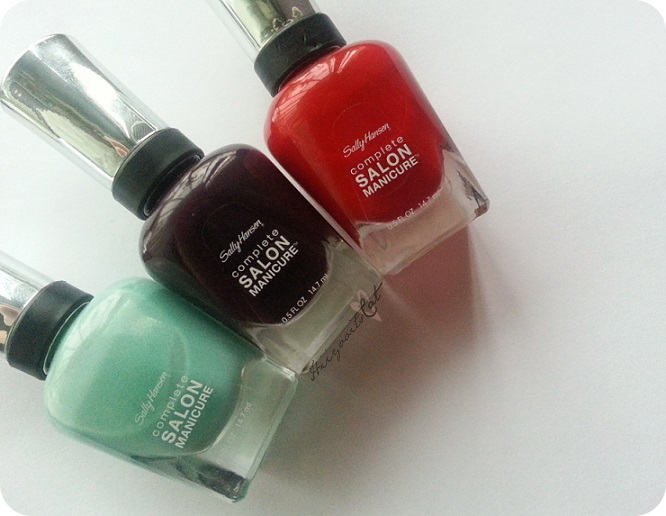 Overall, I recommend you try this line of nail polishes by Sally Hansen. I can't wait to pick up a few more colors. Follow #CSMTKO to see other colors and what other people think about this line on Twitter, Instagram & Facebook.